Paul Steggall advises leaders as a sounding board, specialising in leadership, career planning, and succession. Paul is an expert in the role of the high-performing executive. Clients include those leading businesses in public and private companies alongside entrepreneurs of high growth and innovative ventures. 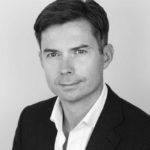 Prior to joining Manchester Square Partners, Paul was the Managing Partner of Carbon, the executive search firm he founded in 2000, where he advised clients on top management appointments for nearly two decades. He has been instrumental in a range of succession planning scenarios, as a trusted adviser to boards and CEOs. Paul has worked across most European countries and many emerging markets. Paul is a Trustee of the National Centre of Circus Arts, an Adviser for The International Exchange, and is a regular speaker for Speaker4Schools across the UK on the subject of entrepreneurship. Life outside of professional activities includes a devotion to his young family, travel and creating a new woodland as part of a significant garden project in Hampshire.